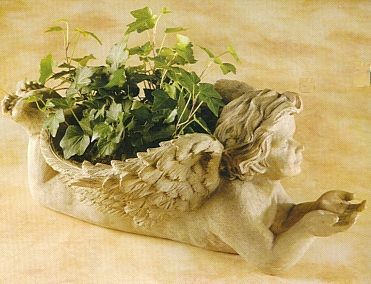 Our inspiring angel planter is a beautiful addition and is unique highlighting both its angel wings wrapped to act as a planter. Created for home and garden use. Made of designer resin. Angel planter is handcrafted with immaculate detail. Dimensions: 7.5"H x 16.8"L x 10"W.